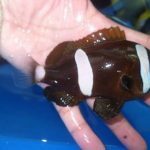 Here’s an unusual mutation that’s perhaps never been documented before—an Ocellaris Clownfish that’s missing its anterior stripe. 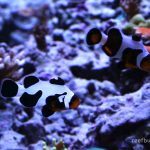 Sure, stripeless clownfish are pretty common these days. Large commercial breeders like ORA have been offering “naked” clowns and “misbar” clowns, but never like this. The anterior stripe is always the first to develop in juveniles of Amphiprion and, for species in the Tomato and Skunk complexes, it’s the last to remain in adulthood. In a sense, it is the dominant stripe, and, presumably, this is reflected in the genetics or epigenetics which control its appearance. So, somehow this weird specimen managed to shut off the production of its dominant stripe while still maintaining the pathway that develops the posterior two. 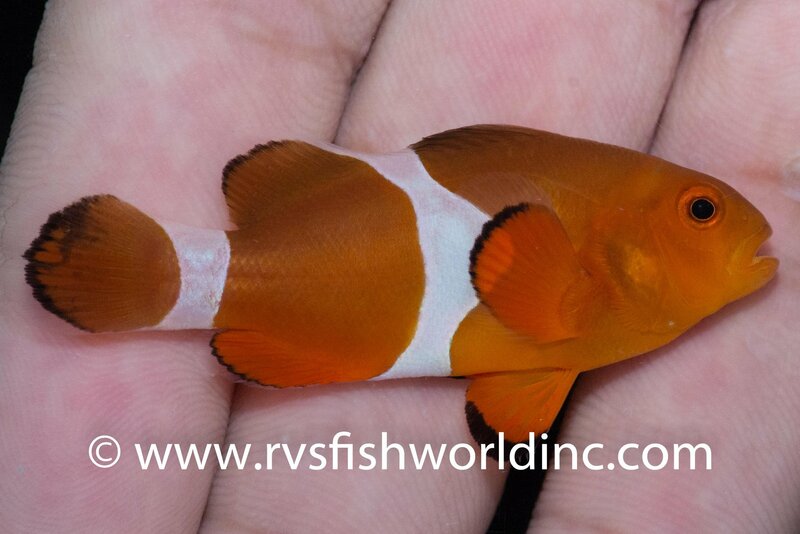 The end result is a Bald Clownfish. Now, is there demand for such a beast among the average aquarist (eh, likely not), or is this just a one-off for the rare fish collectors to drool over? 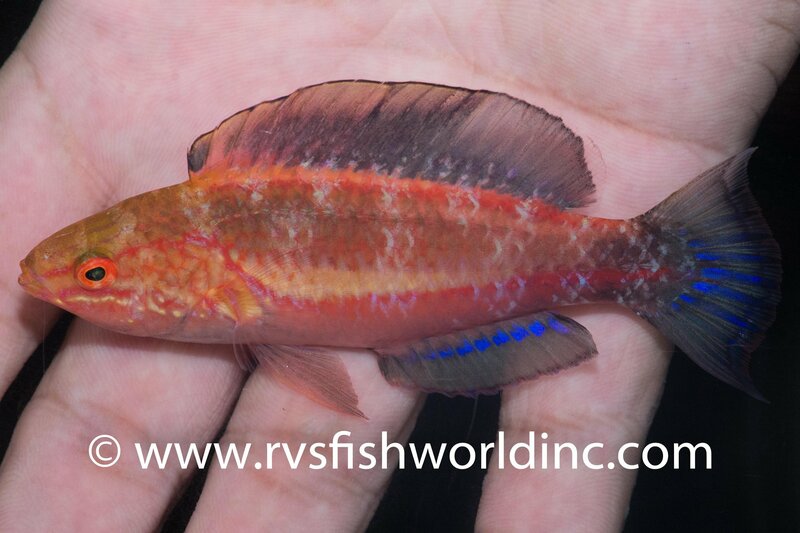 This specimen was collected in the Philippines by RVS Fishworld, who also managed to snag a rare fairy wrasse hybrid from the northern reefs of Cagayan. 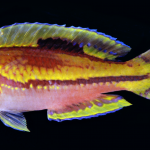 This one has been seen before sporadically and represents a cross of the Pintail Fairy Wrasse (Cirrhilabrus isosceles) and the Lunatus Fairy Wrasse (Cirrhilabrus lunatus). It can be identified by its unique “triple tail” shape, combining the distinctly lunate and lanceolate caudal fins of its parental species into one. 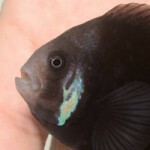 The male coloration is also a bit different, as it has the dark caudal fin of C. lunatus but with a light body, as in C. isosceles. 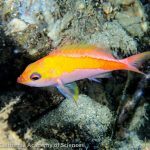 Fairy Wrasse hybrids are, for some reason, rather uncommon. The two species represented here happen to be close relatives with overlapping ranges, but several other examples in the genus meet these criteria and fail to interbreed. For instance, there are no reported C. lubbocki X C. flavidorsalis hybrids, despite both of these close cousins being common and widespread in the Coral Triangle. The similarly distributed C. cyanopleura and C. solorensis complex—two of the most common groups in this genus—have been documented to hybridize, though just a single specimen is known. This is in stark contrast to their sister group, the Paracheilinus flasherwrasses, which regularly produce interspecies babies.